William Felix Browder is all over the news trying to play into the whole Russian/Trump affair muddling the waters. 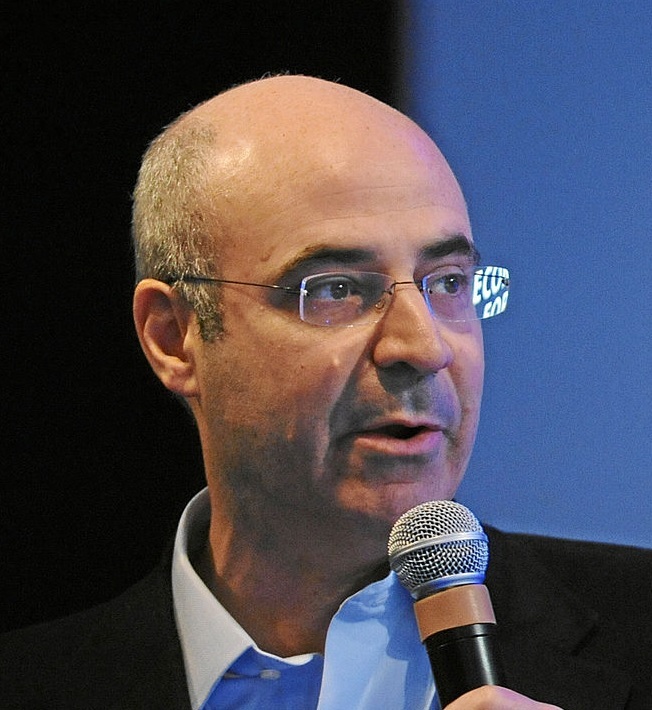 Browder founded Hermitage Capital to invest exclusively in Russian companies. Edmond Safra, the notorious banker who was the center of what was called the Money Plane, put in $25m of seed capital for Hermitage Capital and Safra’s Republic National Bank of New York controlled it. This was the Russian deal I was being asked to join. When HSBC bought Republic National, Browder embarked on a series of shared deals which has left him with complete ownership because the whole Hermitage Capital deal was at the center of a real political controversy many were trying to bury. The scheme set in motion the plot to get the president Boris Yeltsin to steal $7 billion from the IMF loans I have written about before. He did, and Safra steered the bank wire transaction through Bank of New York to a company in Geneva claiming to refurbish the Kremlin. As soon as the wire took place, Safra’s Republic Bank of New York ran to the U.S. Justice Department and informed them that a $7 billion wire just took place at Bank of New York from Russia and it was money laundering. The transcripts of the bankers pleading guilty and got only 6 months house arrest, shows when asked what was the laundering, they simply said it involved ransoms for Russian business men. Safra was in league with the U.S. government to move billions of dollars in US currency notes on skids to Russia by the plane load. 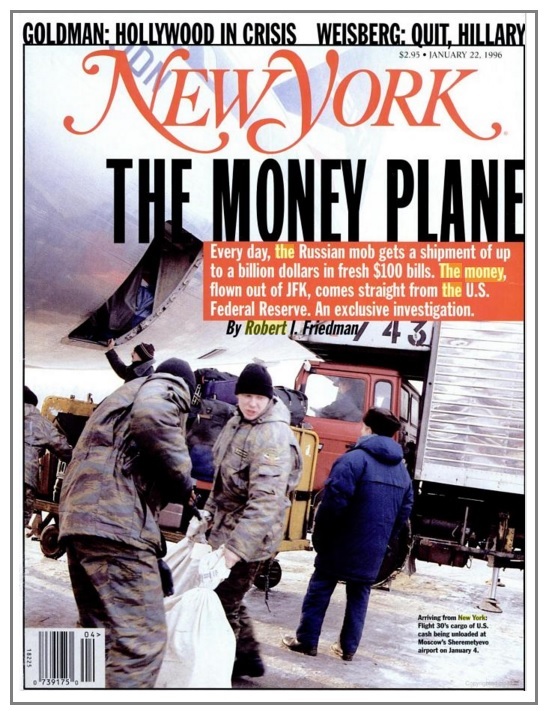 Clearly, the U.S. government was involved in this scheme to that extent (see Money Plane). So while Browder portray’s himself as the businessman who was a victim of Putin, to set the record straight, Browder’s grandfather was the leader of the American Communist Party and stood for election to the Presidency of the United States against Theodore Roosevelt. His Grandfather was a communist who was later imprisoned in the McCarthyite period. Browder claims he went to Russia in 1995 to regain his roots. However, he ended up among Russia’s highest profile investors linked to Safra who in turn was linked to Boris Berezovsky, who was close to Yelstin. Yeltsin was going to run for election in 2000 a second time. This is when the plot to takeover Russia was hatched. Yeltsin was threatened to be exposed by the Bank of New York money laundering and he was to resign, keep the money, and appoint Berezovsky president. Yeltsin realized he was set up so that is when he turned to Putin. 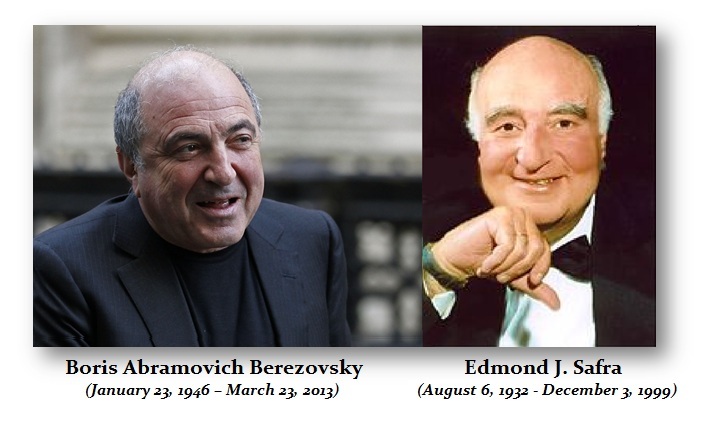 Berezovsky fled to London, others fled to Israel, and Putin then probably had Safra killed. Since Safra controlled Hermitage Capital, it was seized. The claim of Browder that his Russian tax attorney Sergei Magnitsky was imprisoned and died before trial was trying to fight corruption in Russia is far from the truth. Putin seized all the assets of Hermitage Capital and Browder fought in Congress to get the Magnitsky Act passed. I always found it very strange that here the object was to influence the election of president of Russia by blackmail, and the Congress passes the Magnitsky Act as if it was human rights because of some attorney who dies in a prison in Russia. Something is seriously missing. Both Browder and Putin disliked the imprisoned oligarch Mikhail Khodorkovsky who back in 2003 was considered the wealthiest man in Russia. Yukos was one of Russia’s major corporations for oil and petrochemical industries and was also one of the world’s largest non-governmental groups. It was founded by Mikhail Khodorkovsky in 2003. Khodorkovsky had considered running for President crossing paths with Putin. However, he would also not join in with Safra and his Hermitage Capital seeking to corner the resources of Russia in gold, diamonds, and energy. Browder turned against Putin and he was denied a visa to reenter Russia. The official Russian explanation for the decision to revoke Browder’s visa was formally announced in a letter he received on November 25th reading: ‘The decision to deny entry into the Russian Federation for Mr William Felix Browder has been made by the competent authorities in accordance with Article 27, Item 1, of the Federal Law No 114FZ.’ This article says that entry can be denied to someone in the interest of ‘ensuring the security of the State, public order or public health’. Hermitage Capital Management claimed it was pioneering American corporate governance and commercial probity in the boardrooms of Russia’s largest companies. That is by no means the story I was fed to invest $1 billion into Hermitage Capital. It was all about natural resources of Russia. Hermitage Capital grew raising money to $1bn in the first two years. Sorry, I just do not believe the propaganda that surrounds this is trying to rewrite history. Khodorkovsky was considering running for politics and was financing political parties that opposed Putin. He clashed with Putin over the corruption in the Russian government. There is a whole other side to this story that nobody seems to be interested in exposing because it just might reveal American attempts to manipulate Russian politics that backfired and opened the door to Putin. The connections between Safra and the government to enable the Money Plane is possibly the reason I would allege is how Browder was able to get the Magnitsky Act passed trying to get his money back. If I were Trump, I would open this black box to discover the truth lurking in the shadows behind the Magnitsky Act. « Is Trump Draining or Filling the Swamp?